An ongoing project as part of the Stove Network, exploring the Stove building as a space to create and host conversations and activity through exhibitions, temporary installations and public art events. A public art commission to create new work for the Meadows housing estate in Lochside, Dumfries, supported by the Stove Network. The work comprises a collection of concrete and bronze cast pieces, alongside a 12 month programme of tattle themed events and activities with local residents. Commissioned by Dumfries and Galloway Housing Partnership. The final of three commissioned artworks for the new DGRI hospital, for the Accident and Emergency, and Maternity departments. The hand painted installations feature six wall murals, and seven wall mounted panels, exploring mapping in various scales, from landscape down to human genetics. Commissioned by Dress for the Weather. Group exhibition at the Hawick Art Gallery, curate by Upland and featuring the previously un-shown work Sound Horn [copper], created on residency at the Scottish Sculpture Workshop. The second of three commissioned artworks for the new DGRI hospital, comprising of a series of 11 collection cabinets housed in coffee tables, with a series of objects found, gathered and created with local arts groups. These can be found in the socialisation spaces in each ward, and also in the Moffat and Stranraer health centres. Commissioned by Dress for the Weather. The first in a series of three commissioned artworks as part of the new Dumfries and Galloway Royal Infirmary, the project consisted of a series of digitally printed artworks for every bedroom in nine of the hospitals new wards. Commissioned by Dress for the Weather. Sound and sculptural installation as part of Sanctuary Lab, a 24 hour experimental art event exploring darkness and remoteness. Wave Decay featured a series of six speaker horns and sound piece developed by artist Justin K Prim. The project was supported by the Visual Arts and Maker Award for South Scotland 2017. Group exhibition at the Patriothall Gallery in Edinburgh, curated by Upland, featuring new work ‘they just don’t make them like they used to’. Lead artist on the Stove’s Conversing Building project, High Street Neighbours is the first of a series of projects throughout 2017 to create discussion and encourage our building at 100 High Street, and the surrounding areas to better connect with and engage with Stove projects and conversations. Lead Artist and curator of The Stove Network’s Chapter One event: a two day take over of the Baker’s Oven in Dumfries, including exhibition ‘People’s Dumfries’, installation space, cinema, workshops and performance. Temporary sound and sculptural installation created in collaboration with sound artist Justin K Prim. Created for a secret location in rural Annandale. Group exhibition exploring formative relationships, held at 107 Projects, Redfern, Syndey, Australia featuring the work ‘Do You Know How Many Times I’ve Thought About Writing On The Paper That I’m Writing On’, in response to an ongoing connection to childhood pen-pal Amy Gardner. Curator and artist as part of The Stove’s SUBMERGE exhibition, part of ArtCOP21 and ArtCOP Scotland. 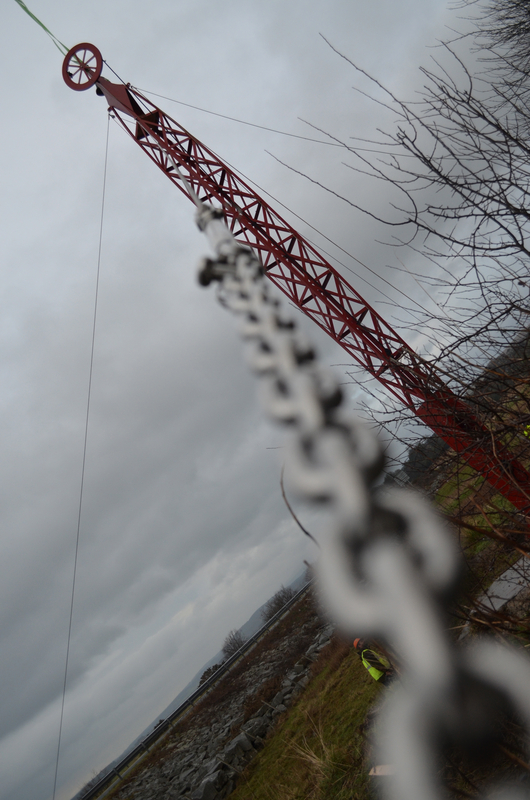 A series of projects and workshops exploring Dumfries relationship with water and climate. Commissioned cast water vessels as part of Jan Hogarth’s Quest project during the second Environmental Arts Festival Scotland. Production Intern as part of the team organising the second biannual Environmental Arts Festival Scotland. Works included artist liason, signage, the EAFS Village Post Office and online content. Allumni exhibition marking the closing of the Fine Art campus at the University of Cumbria (formerly Cumbria Institute of the Arts). Salt of the Earth exhibited as part of this exhibition. 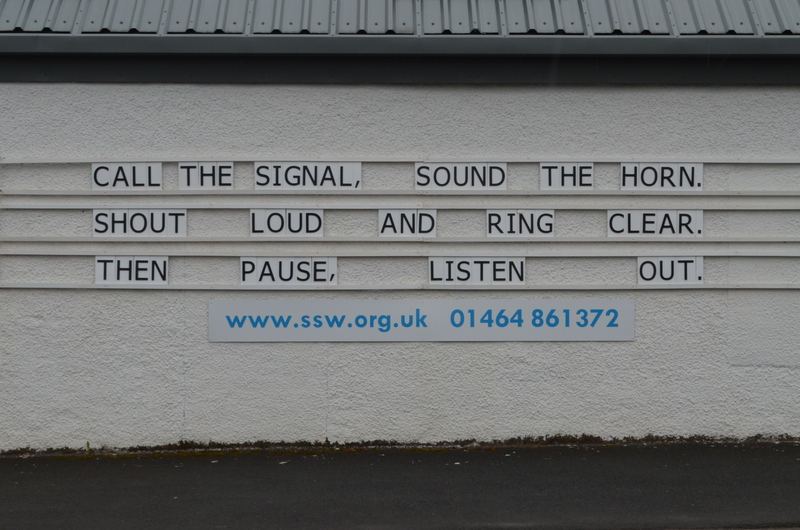 A social media project as part of The Stove’s Open House, inviting Dumfries to get talking. Encouraging participants to write speech bubbles online or on the streets and discussing future ambitions for the town. The best slogans were selected and made into a limited edition t-shirt screenprint, created with artist Sarah Keast and members of the Young Stove. Group exhibition of installation and contemporary craft makers at Kulturschopfer’s Green Hill Gallery in Berlin, organised by Spring Fling and curator Kate Brehme. 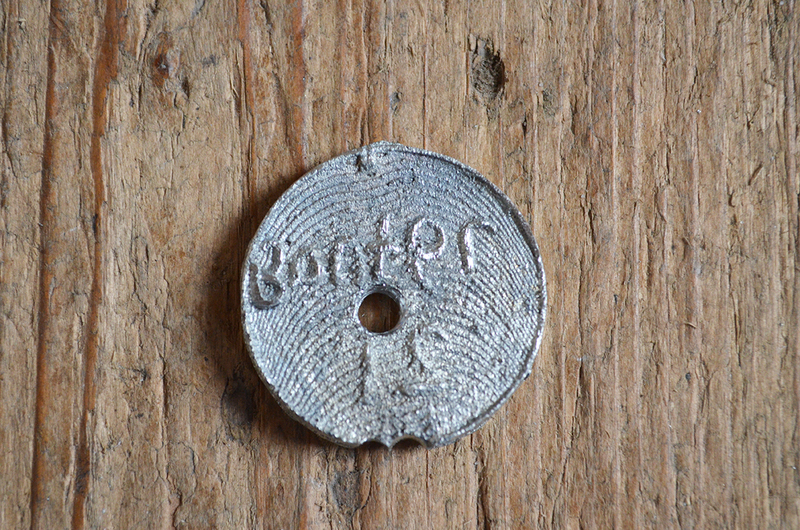 Work exhibited included Salt of the Earth and Speak Softly. The Stove is is a project to embed creativity in the structures and thinking that shape a future we all will share. 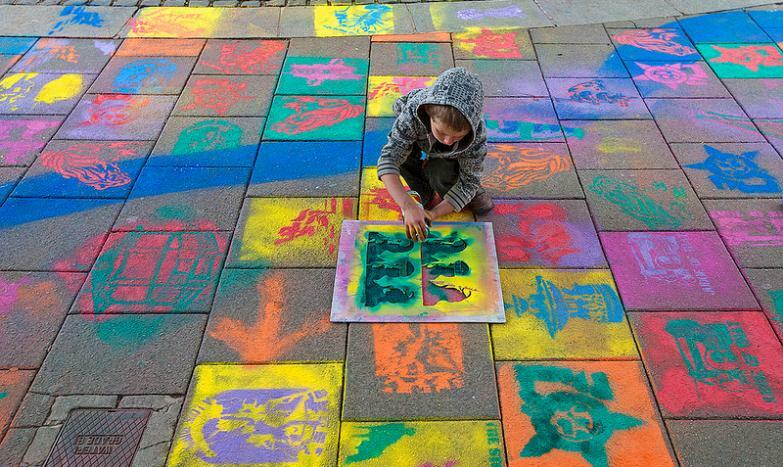 It is two things, firstly an artist led collective creating participatory public art events the citizens of Dumfries in constructive and practical action in the town. Secondly, it is a building in the town centre of Dumfries acting as an HQ for the project and will operate 100 High Street as a social enterprise. TheStove@TheStove is a 16 month series of temporary projects, residencies and events embedding the Stove Network into Dumfries town centre and exploring the relationship of 100 High Street to the wider town. Projects have so far included Charter14 as part of Guid Nychburris 2014, Nithraid and Parking Space. Charter14. 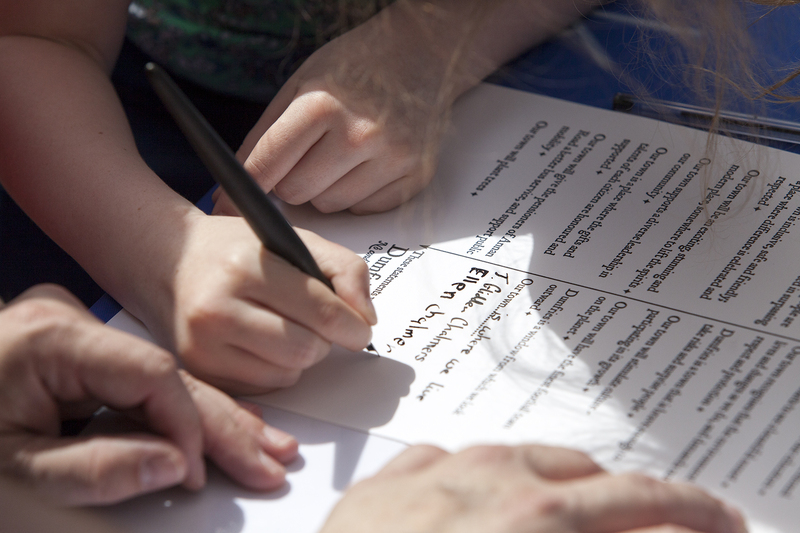 A crowdsourced, contemporary charter for Dumfries – edited and authenticated producing over 150 individual charters for the town. A Spring Fling project which saw myself, textile artist Morag Macpherson and graphic artist Kirsty Turpie work in collaboration with the art department and school students to develop a new permanent work for the school. Students in my groups cast a new collection of coins for Lockerbie, exploring representational art in the everyday, the act of making and of course the joys of bringing a pedal-powered foundry into the school! From street games to street food, Parking Space explored a town centre location that some locals had not even ventured into the depths of, as well as creating a space for artists, skaters and members of the public to come together and experience the familiar in an entirely unfamiliar light. 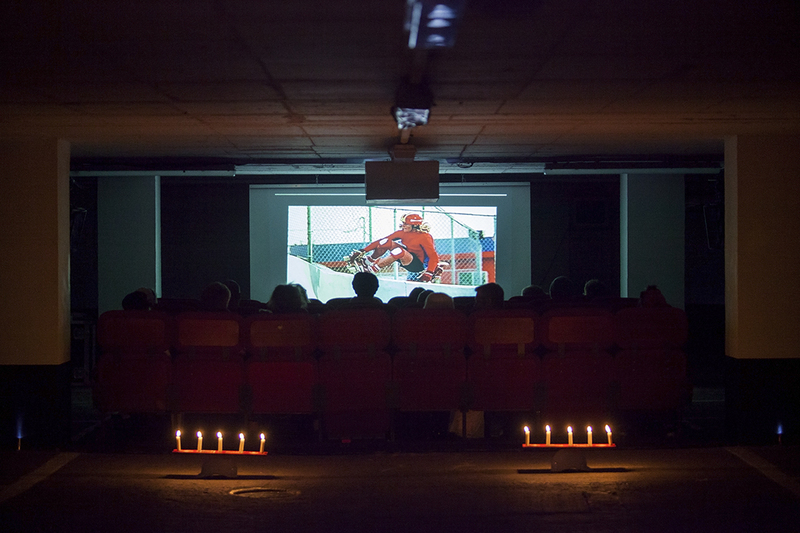 For two days in October we took occupation of an underused underground car park in the town centre. Kicking the event off with our AGM, and a discussion evening over stovies led by Open Jar Collective and Dot to Dot Active Arts; the weekend saw the creation of a full size cinema (complete with roller-skating usherettes), a temporary skate park, as well as film and moving image installation works. Month long residency at the Scottish Sculpture Workshop in Lumsden, developing a new body of work in response to location of the workshop in rural Aberdeenshire. The work grew from walking out into the landscape, the act of walking for leisure, of the direction taken, the destination perceived, the viewpoint and the returning walk. The need to somehow map or document our leisure persuits whether through ‘bucket lists’, photographing memories on summits or cairn building. The work is currently incomplete. 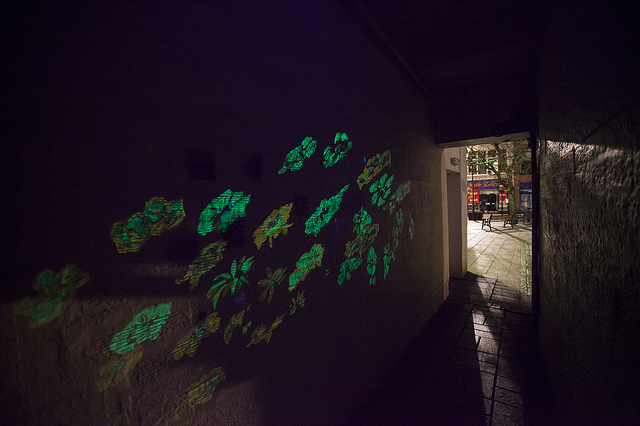 A temporary audio and light installation installed in one of Dumfries’ closes. As part of Big Burns Supper’s Occupy Dumfries project, the work was a temporary intervention within one of the towns periphery, in-between spaces creating a momentary pause in an otherwise through-space. Install Day of the Creetown Bell Tower. The Stove Network. Visual Art and Craft Makers Award from Dumfries and Galloway Council to develop a new body of work exploring site, material and memory on the Solway coast. 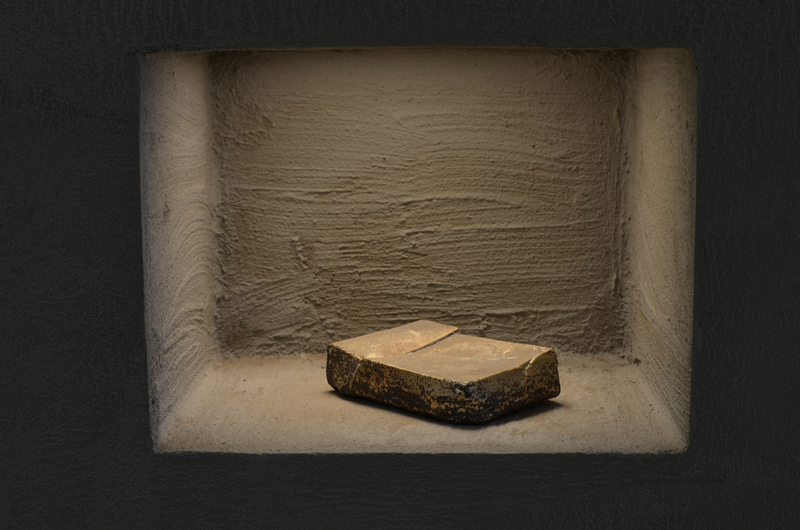 The work focused on the transient nature of our relationship with objects and consumerism, as materials were gathered, cast and then given back to the earth. 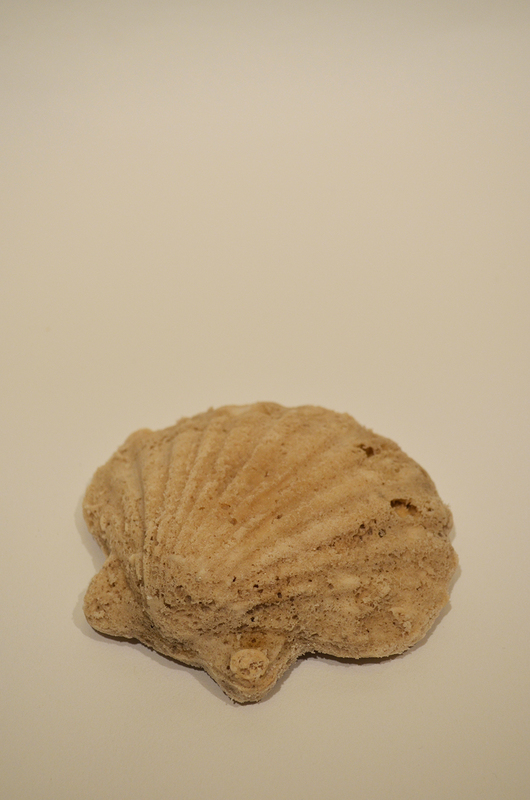 Salt of the Earth [shell]. Cast salt gathered from the incoming tide on the Solway coast. 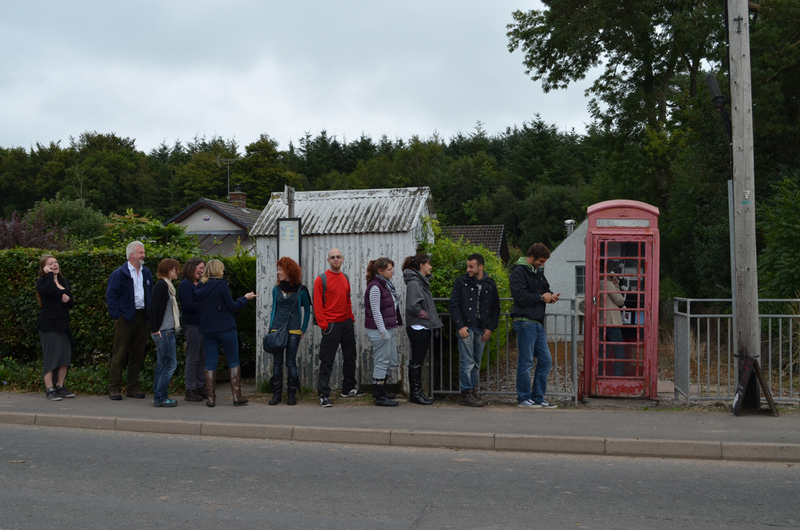 The Voices from the Phone Box project travelled to Wigtownshire in the west of Dumfries and Galloway as part of The Wigtown Book Festival. The flying butcher. Magic Hour. The kindness of folk. There was always plenty o’ work. It’s all gone no’. BOS 648. Still living in the past here. A modern life. I never even knew Whithorn existed…. I’ll never be a local. 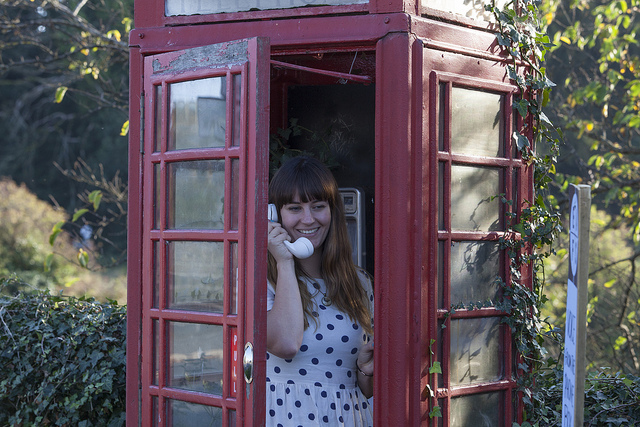 Voices from the Phone Box. Bladnoch Telephone Box, Wigtownshire. Photo: Colin Tennant. As part of the first Environmental Arts Festival Scotland. Voices from the Phone Box. Clarencefield Telephone Box, Dumfries and Galloway. As part of the Stove Network, 100 High Street, Dumfries. Fully supported residency based at WASPS studios, Kirkcudbright, Dumfries and Galloway funded by The Holywood Trust. 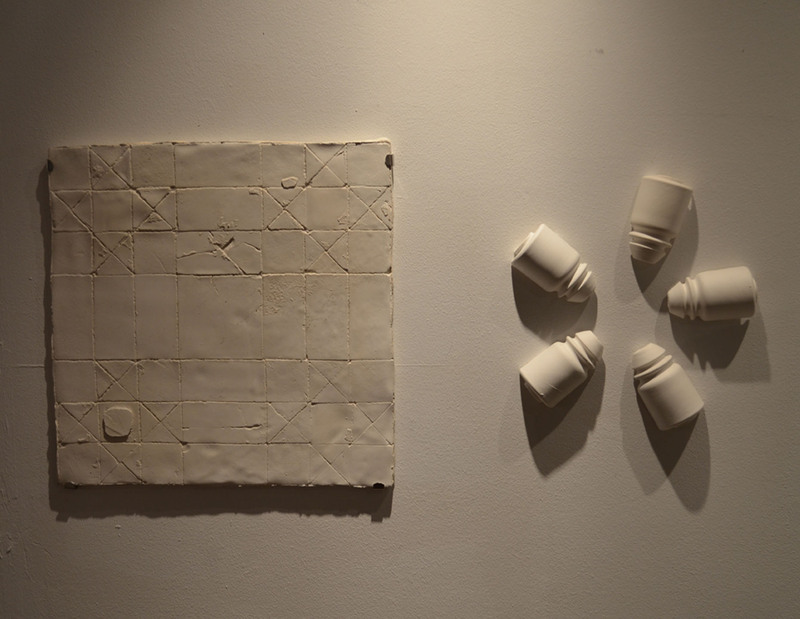 As part of the residency exhibited works were included in Spring Fling 2013, Scotland’s largest open studios event and the WASPS Summer Show in Kirkcudbright Town Hall. September 2012. RISE, The Galley, Atlas Works, Denton Holme, Carlisle. Open exhibition held in an artist run gallery space. 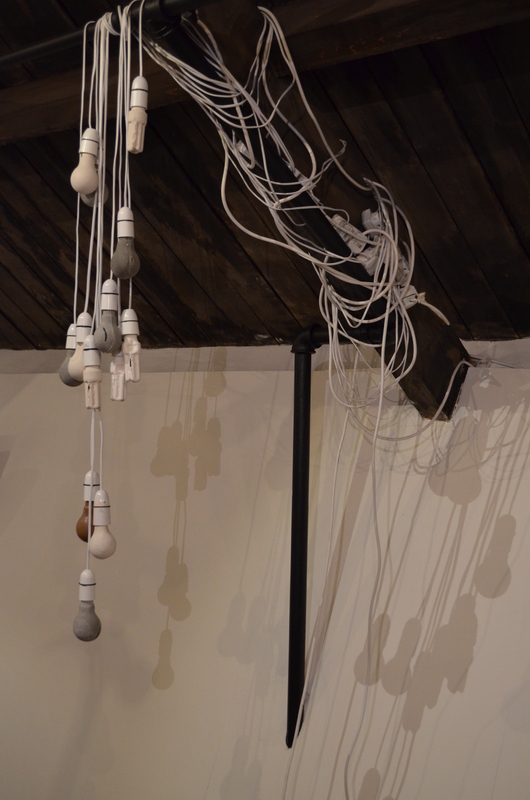 Transient Permanence, a work comprising of cast light bulbs in concrete and unfired clay hung from the rafters of what was once a working mill. June 2012 Axiom. Caldewgate, University of Cumbria. Final year Degree Show. The Transient Nature of Objects was produced for Axiom, three collections of everyday objects remade as icons for a material age, the work sought to question contemporary throw-away culture and explore the effects of remaking – pervaded by the essence of the handmade. January 2012. The Emporium, Botchergate, Carlisle. Student led project held in a disused shop space. 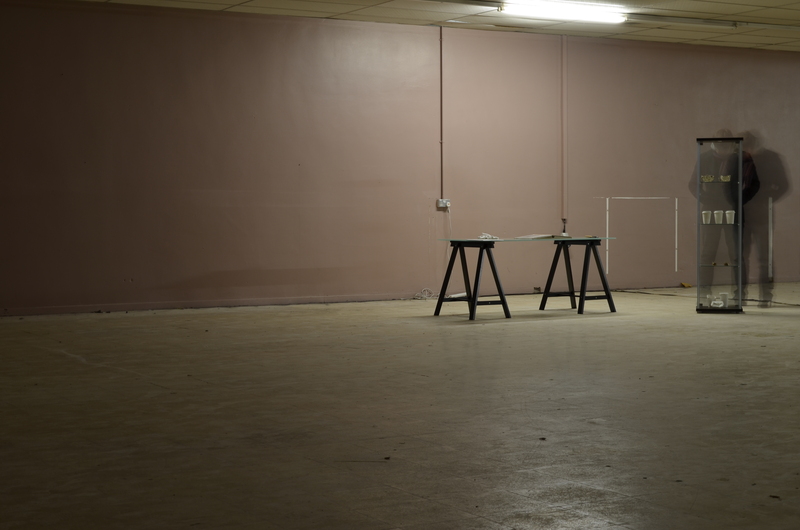 The Emporium sought to engage with one of many disused shop spaces in Carlisle – works exploring consumerism and rampant materialism took over the space for a week, and included discussions, film screenings and a late night opening. The Handling Session was presented as part of The Emporium, an opportunity for visitors to interact intimately with a series of hand made replicas of mass produced commodities.